Dealing with the costs of education isn't just a task for the young anymore. Even for those 50 or older, student-loan debt has become a key concern, with the latest figures from the Federal Reserve Bank of New York showing that those ages 50 to 59 had $112 billion in outstanding student loans -- almost 12 percent of all student debt -- while those 60 and older had $43 billion in student loans. Moreover, default rates among those 50 or older have jumped sharply in the past eight years, with 60-plus borrowers seeing default rates double from 6 percent in early 2005 to 12.5 percent at the end of 2012. Older Americans face unique financial challenges that can make repaying educational debt more difficult. Yet as college costs rise, many people older than age 50 want to try to help their children and grandchildren with their educational expenses to avoid seeing future generations burdened with heavy debt. Let's examine to some ways older Americans can achieve both of those goals. 1. Recognize the Danger of Debt. The student-loan burdens that those 50 or older face are often much more difficult than those for their younger counterparts. With much of the debt they take on representing parental loans or cosigned loans for children and grandchildren, they often lack the flexibility in repayment terms that younger borrowers enjoy. Most private loans and parental loans don't offer income-based repayment options or other ways of reducing monthly payments, yet bankruptcy and other options of last resort won't get rid of them. Last year, The New York Times reported that 119,000 retired Americans were having part of their Social Security benefits garnished to repay student loans. Make sure you understand the terms that govern tyour deb. Know your repayment options and prioritize the most burdensome loans first before turning to loans with more favorable rates and terms. That will give you the best chance to get your debt under control while you're still in a position to deal with it. 2. Don't Sacrifice Your Own Financial Future. When you hit your 50s, you're really reaching crunch time in terms of providing for your retirement. As your earnings peak, you'll never have a better time to put large amounts of savings toward that nest egg. In the "save for college" versus "save for retirement" debate, there are many reasons to choose retirement. As painful as student loans can be for your kids, there are no loans available to help you finance your retirement -- and there are certainly no scholarships. 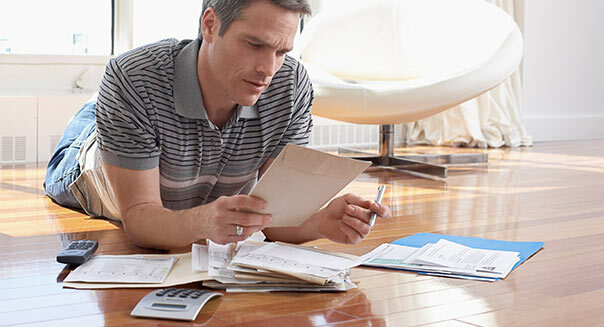 Retirement contributions often bring more tax savings even than tax-favored 529 plans, and can trigger matching contributions from your employer. Moreover, as retirement assets generally aren't counted as financial resources for financial aid purposes, your children might be eligible for more aid if you save for your own retirement. So don't see it as a selfless act to sacrifice your own financial needs; put yourself first if it's really a matter of choosing one or the other. 3. Avoid Costly Financial-Aid Mistakes. Parents and grandparents often mean well when they help out their children and grandchildren with college expenses, but you need to be smart about how you handle helping students out. Grandparents' assets aren't counted at all for financial aid purposes, but when grandparents take money out of 529 plans that they've saved on their grandchildren's behalf, it forces those grandchildren to treat the withdrawal as student income in calculating financial aid, which can reduce eligibility by as much as 50 percent. By being smart about making moves like transferring money bound for a 529 plan to parents rather than keeping it themselves, grandparents can avoid that pitfall and have the much smaller impact of having that money treated as a parental resource rather than outright student income. 4. Think About Estate Planning. For wealthy families where financial aid is less of a concern, educational costs present a great estate planning opportunity. Parents and grandparents can make gifts toward educational costs free of gift tax, even if the cost exceeds the usual $14,000 limit on ordinary gifts. In order to qualify, though, the payment has to go directly to the school, not through the student's own account. Also, while deposits to 529 plan accounts aren't eligible for unlimited gift-tax exemptions, there is a special one-time rule that allows you to elect to add up five years' worth of exemptions in a single year. That lets you contribute up to $70,000 to a 529 plan at one time -- $140,000 for a married couple. Such gifts get money out of parents' or grandparents' estates for estate-tax purposes, potentially saving up to 40 percent in tax liability upon death at current tax rates. It's admirable to help children and grandchildren deal with college costs, but make sure you don't sacrifice your own financial future to do so. The rise in student-loan indebtedness among those 50 and older shows just how easy it can be to get in over your head in your efforts to meet your family obligations.